We had an early morning rainstorm today that was cold and nasty, but it blew away the humidity and the result was a perfect summer day! 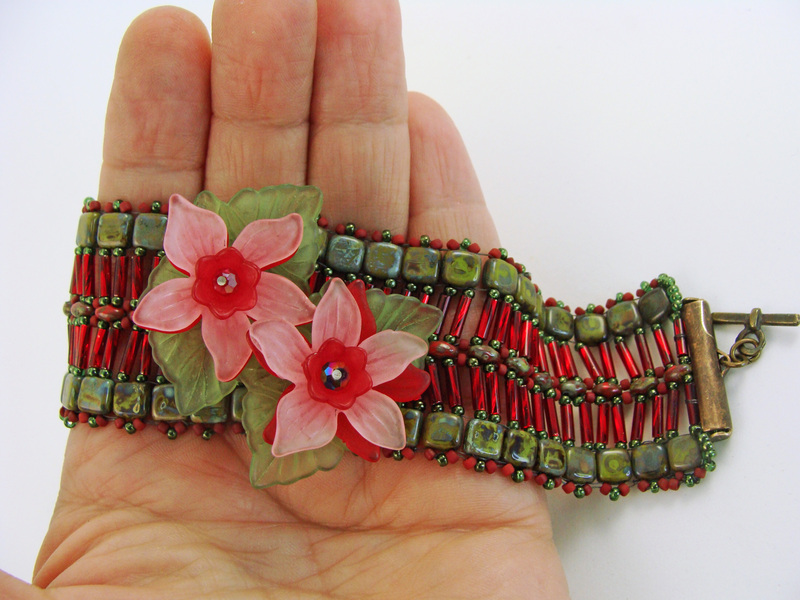 I sat out on the patio after the rain storm passed and beaded while my hound dog snoozed. The flowers opened up and the clouds moved off. It turned out to be a beautiful day. Poor Winnie! never enough cushions! The birds were singing, the breeze was cool and gentle, the sun warm and pleasant. Remember that pendant I was making at the beading brunch? 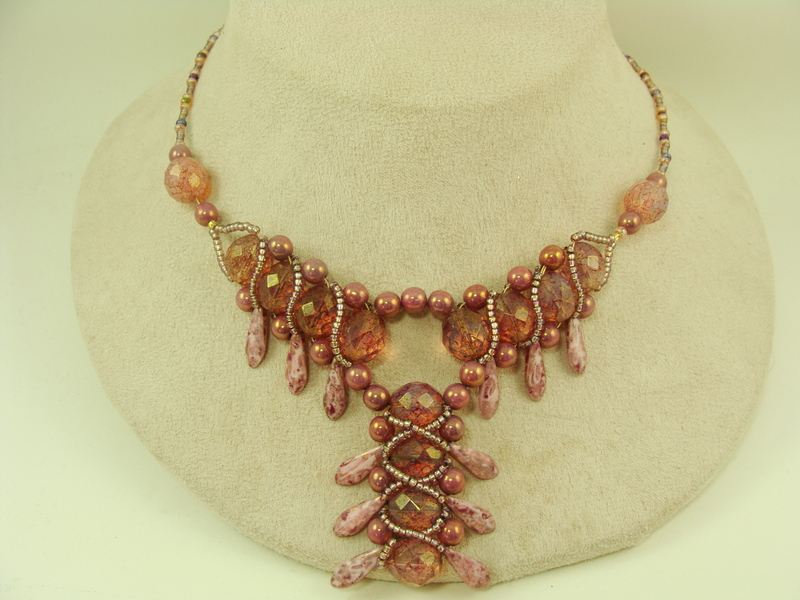 There were two more of these pretty agates left to complete. I finished one of them today. 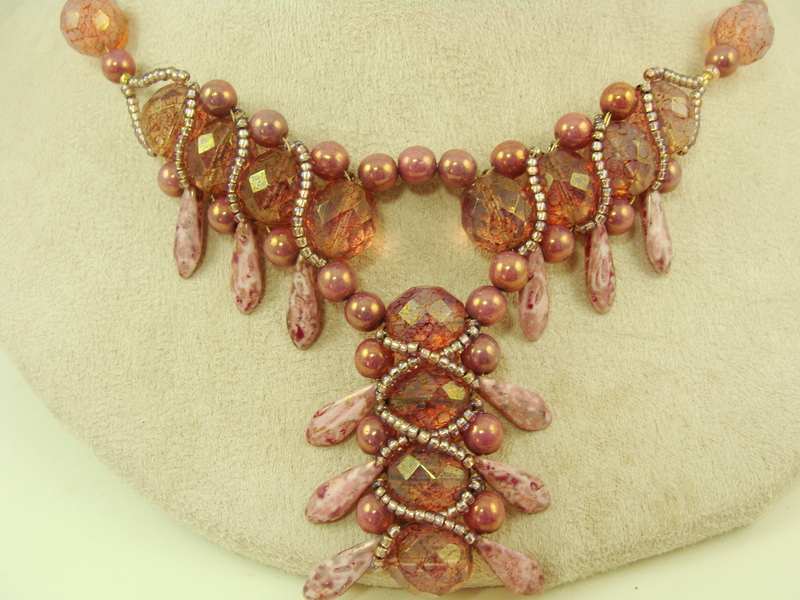 The stone was not symetrical in it’s cut, and as a result, it was really hard to capture in beads! I had a lot of trouble getting the beads to fit right and stay tight! This one still needs to be embellished, and I also plan to make the rectangular one into a bracelet. But, since it is getting late I guess I will have to save those tasks for another day! Now that Spring has finally arrived it is time to go on a Fairy Hunt! Remember to look amongst the lily pads…. You will find the fairies! And perhaps a unicorn too! See them there, the little pixies hiding amongst the flowers? I hope you have had fun in Fairyland! Stop by any time!! Spring Fever: Gearing up for the Art Fair Season! 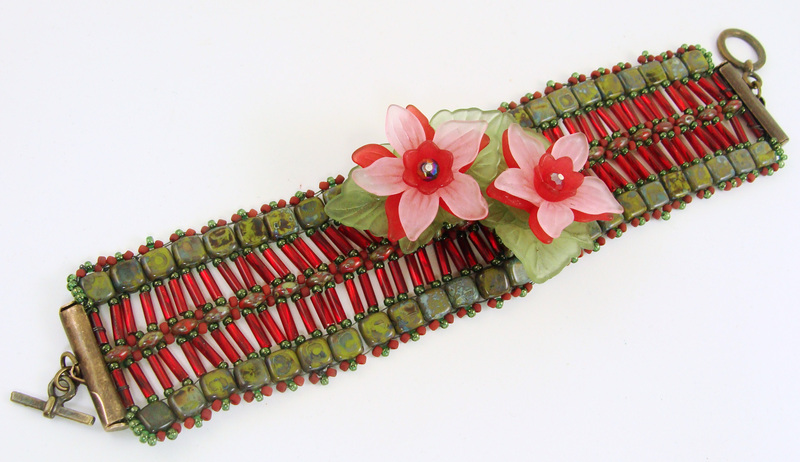 These leafy creations are ready to be finished with a clasp and fastened to your wrist! As the sun comes out a little earlier each day and warms the earth, I feel it’s golden warmth more and more each day. 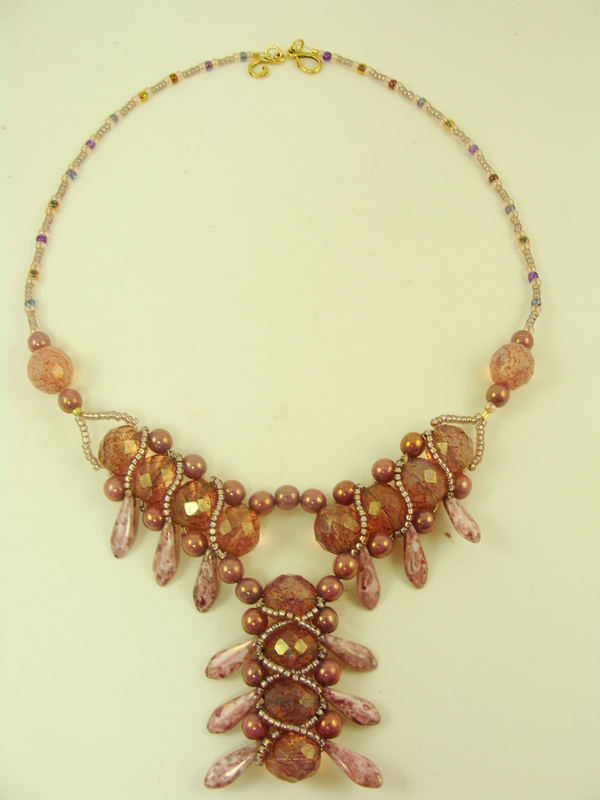 This sparkly creation was made in honor of the sun and it’s power over the earth! HAPPY B’EARTH-DAY! I love alliteration. Hope you do too! 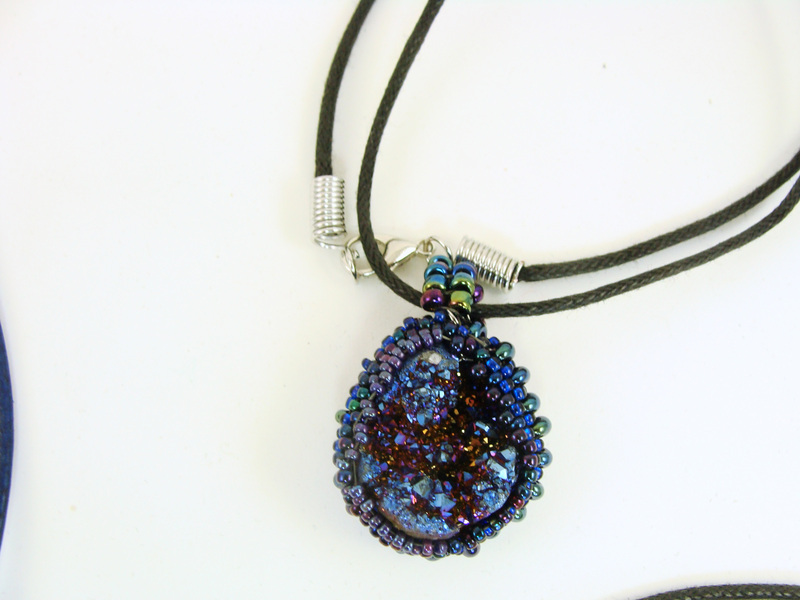 I also love to bead pendants by either using a brick stitch embellishment to a metal medallion, or, using Peyote weave around a cabochon. Are you ready for some new stuff? 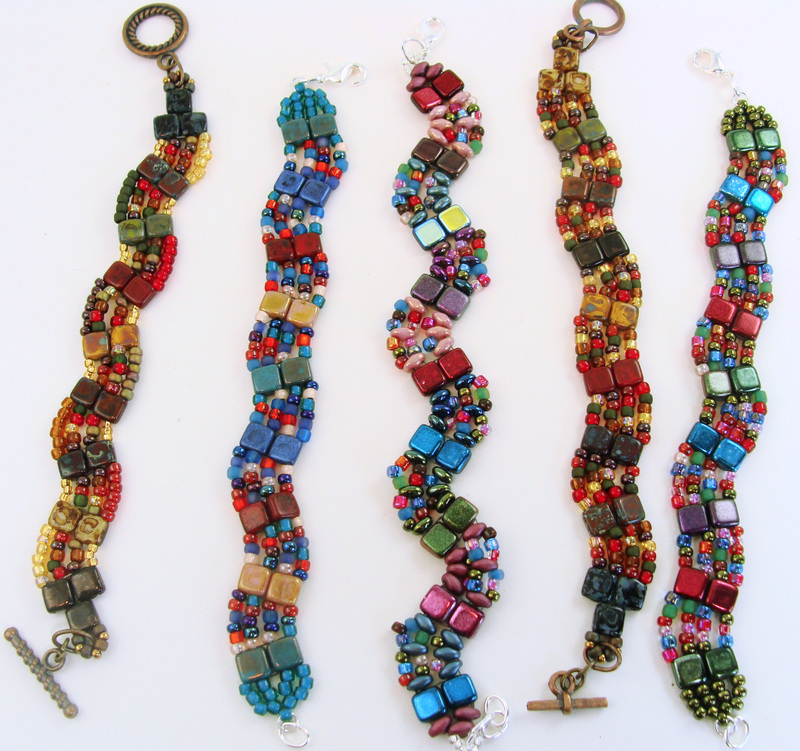 Here are some new offerings of pendants, necklaces, and bracelets. 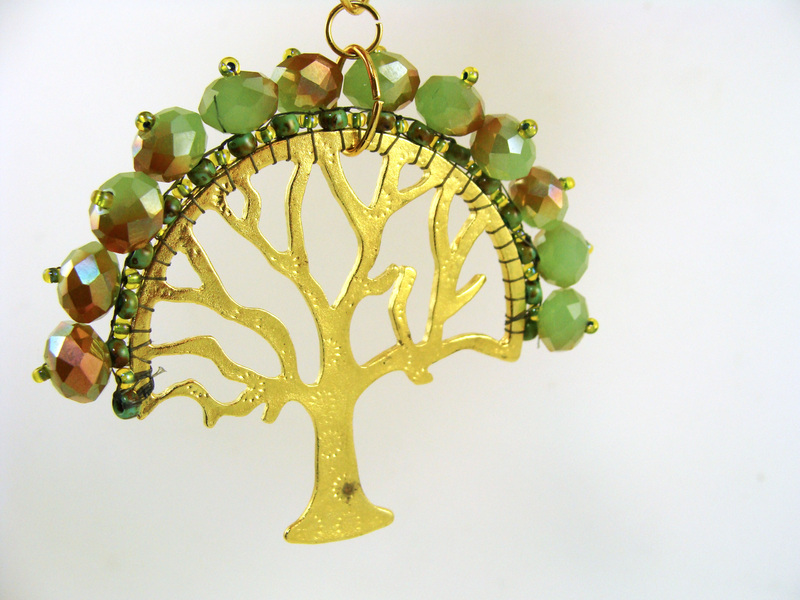 I have a lot of these golden trees, and I thought they could make nice pendants, be used as sun-catchers in a window, or even holiday tree ornaments! 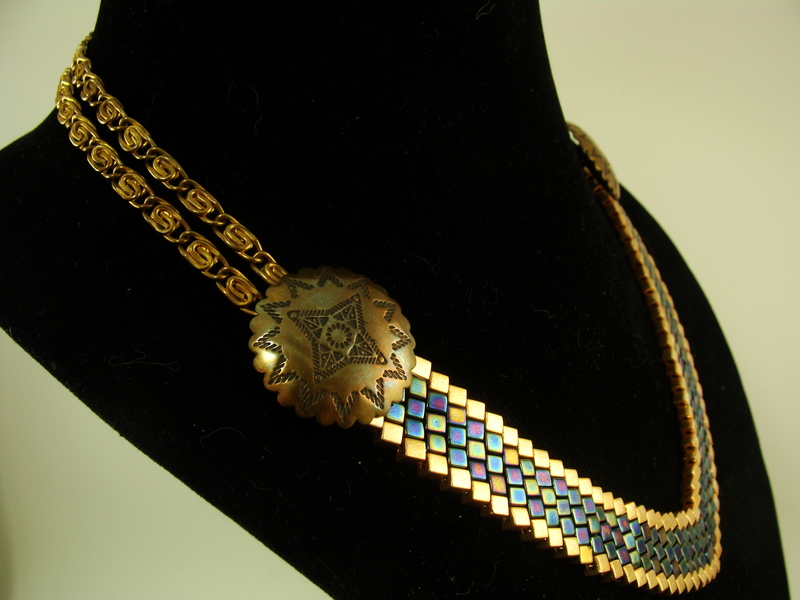 I love to embellish brass, copper and pewter pendants as well. And now, for a bigger project. I started weaving a simple super Duo rope and just kept on going! 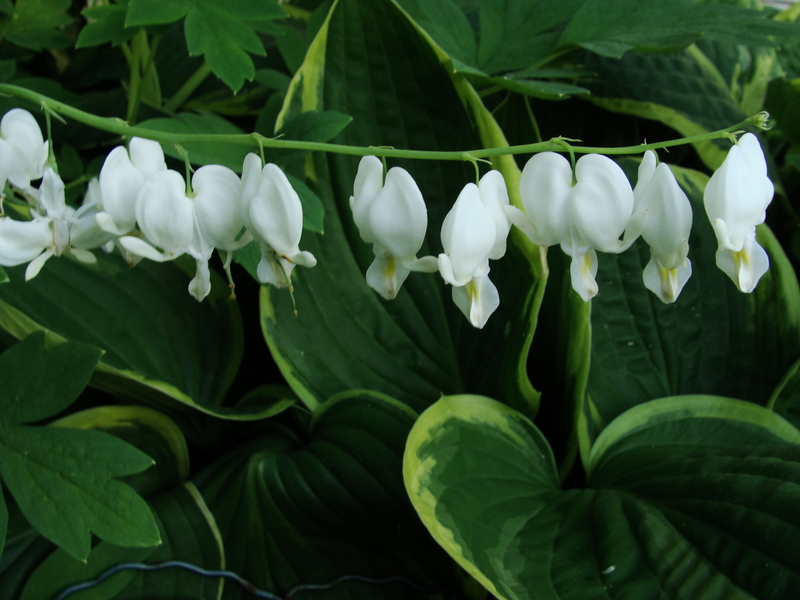 I wanted to create a really long rope, like those long ropes of pearls that flapper ladies wore in my Grandmother’s day. I remember her long pearl strands and I wanted to make a woven rope long enough to twirl, or at least wrap twice around my neck. Here is the result: a 42 inch black and gold woven rope that is long enough to tie in a knot, or double up. 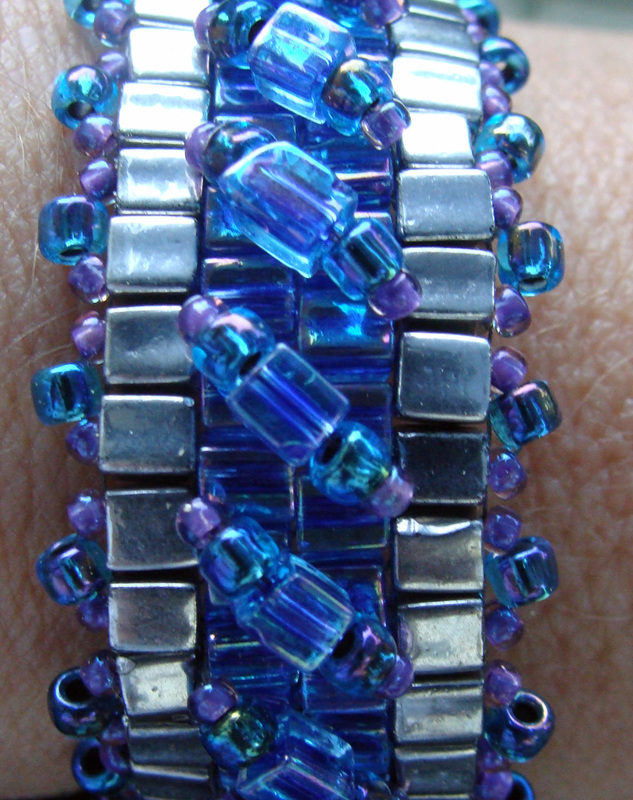 Time to get back to beading. I have some more pendants to make and I just had an idea for a new rope!! Time to settle in for the winter! I am done with summer and fall shows and I just did my last winter show. Now I can hunker down for some serious beading time! 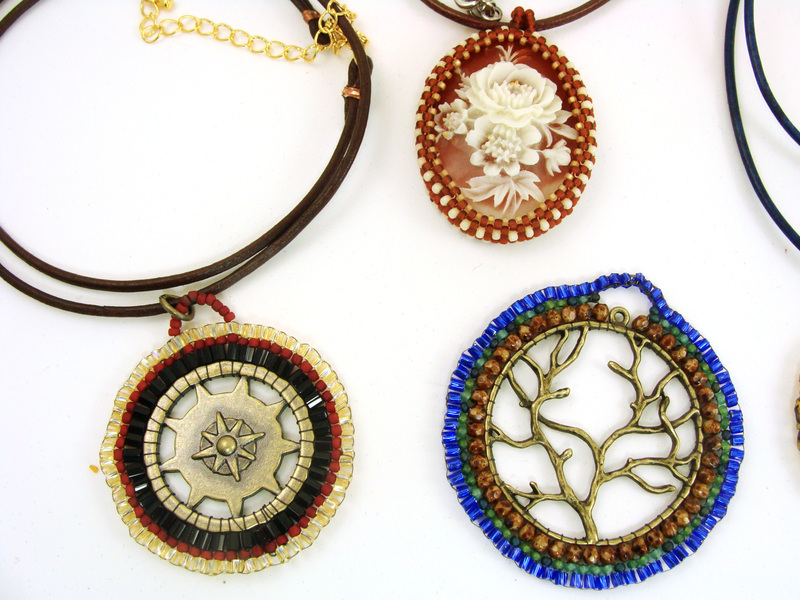 My latest passion has been to bead borders around pendents to make pretty medallions. Visitors around here know to beware- If you set it down and leave it for too long, I will bead a border around it! 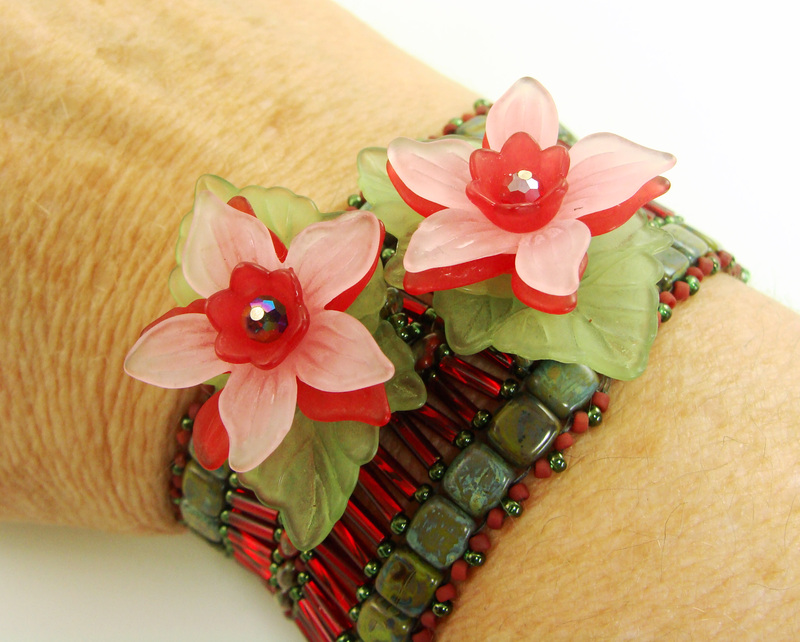 Poinsettia Czech-Mates/bugle bead Holiday Extravaganza! Now- I Gotta get going and make some new treasure’s for next year!! 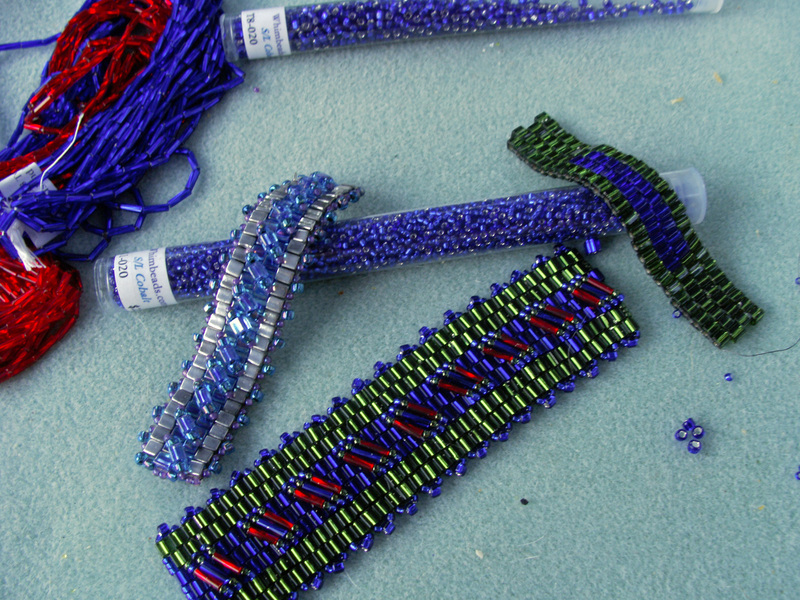 Get ready for some awsome bead weaving! 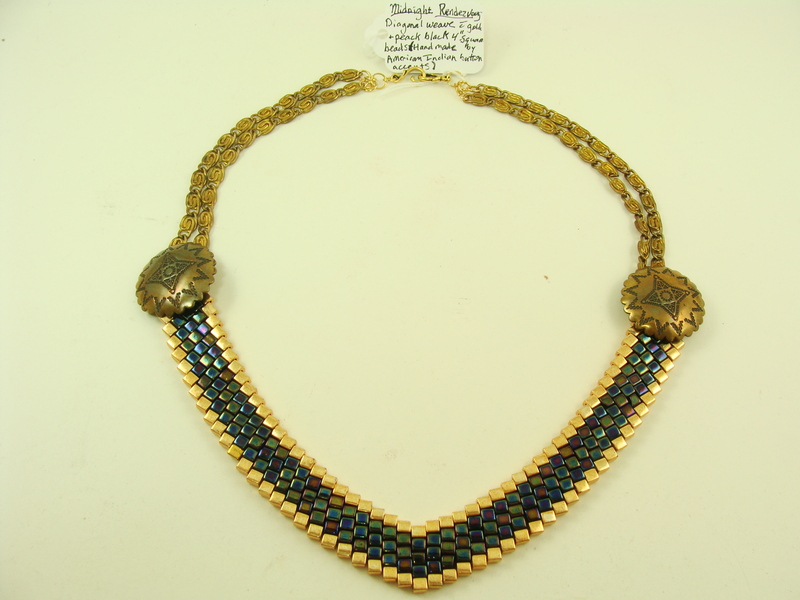 Hand woven necklace made with 4 mm cubes in a diagonal weave pattern with needle and thread. The accent buttons are American Indian handmade brass buttons. 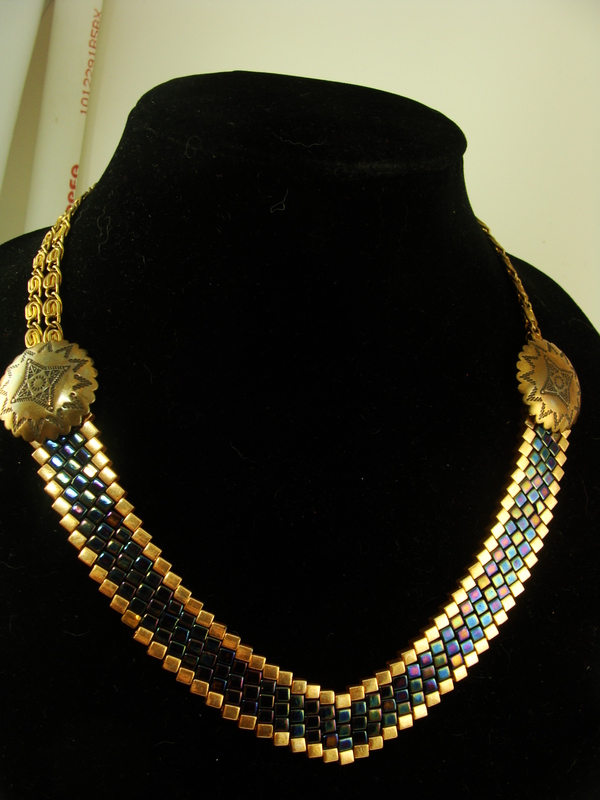 Finished with gold tone chains and hook-loop fastener. 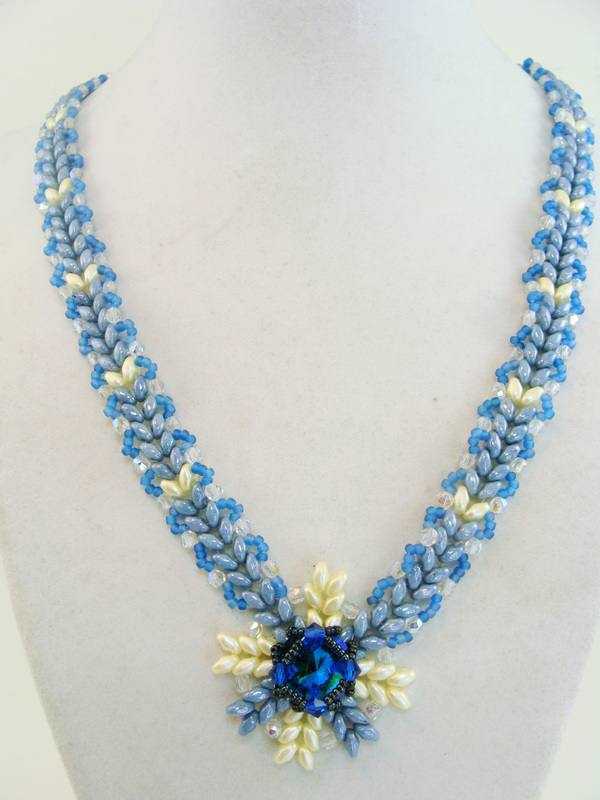 Hand woven Czech glass beaded necklace. 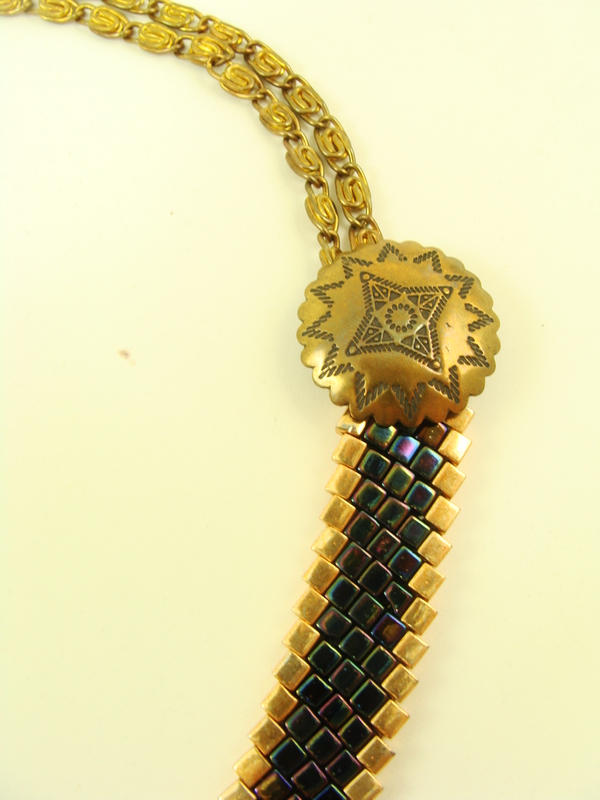 Dagger beads and rounds accent the large glass beads. 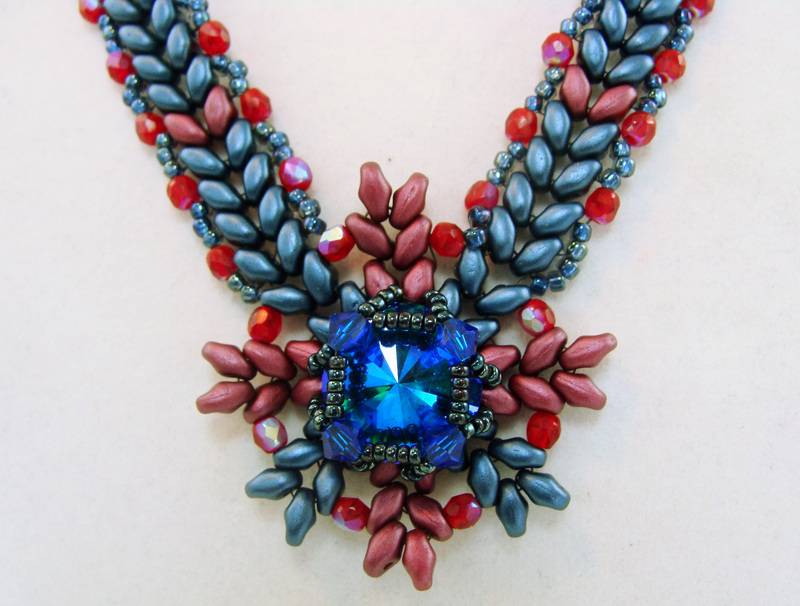 Finished with seed beads to create a stunning statement piece. 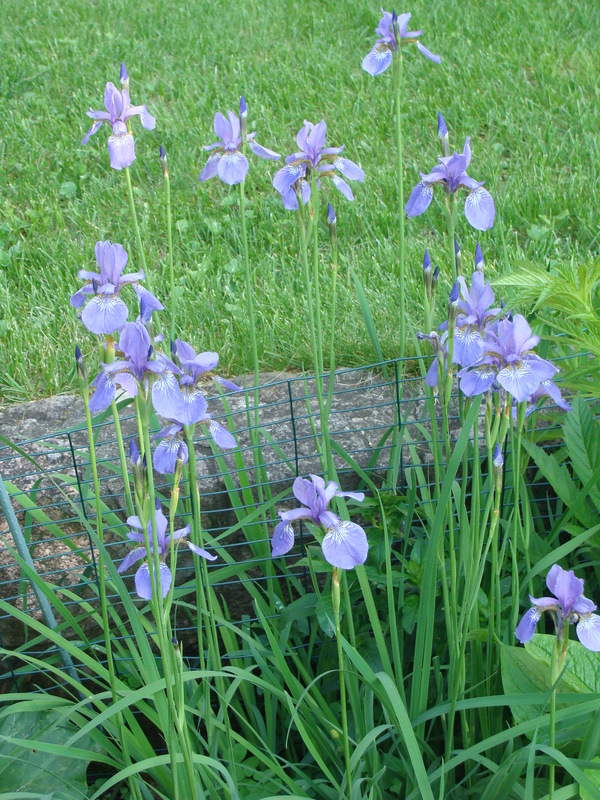 I have been enjoying how all of my flowers have suddenly sprung into full bloom after a long and frigid winter. 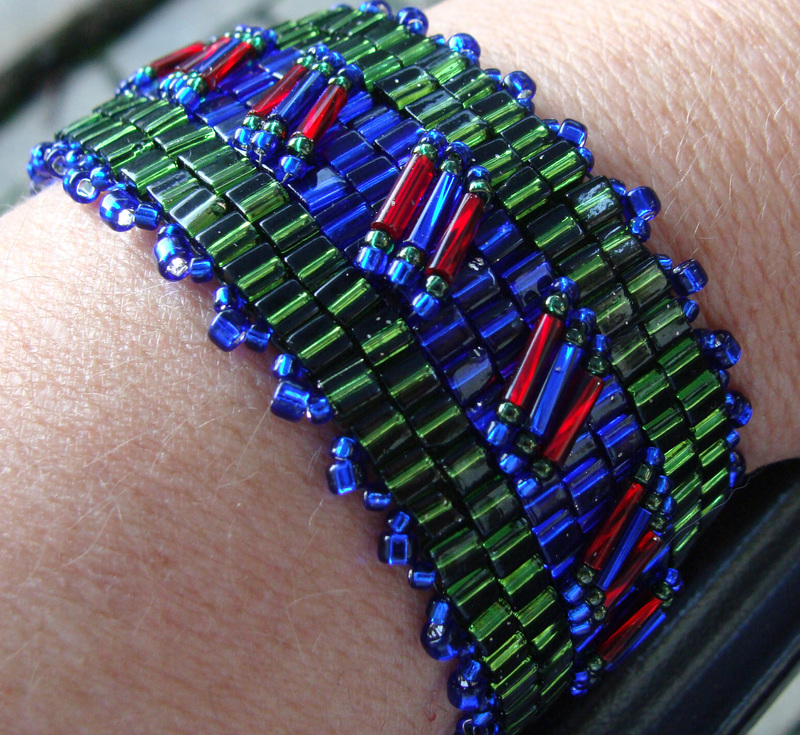 They have inspired me to create bracelets that reflect their colors! 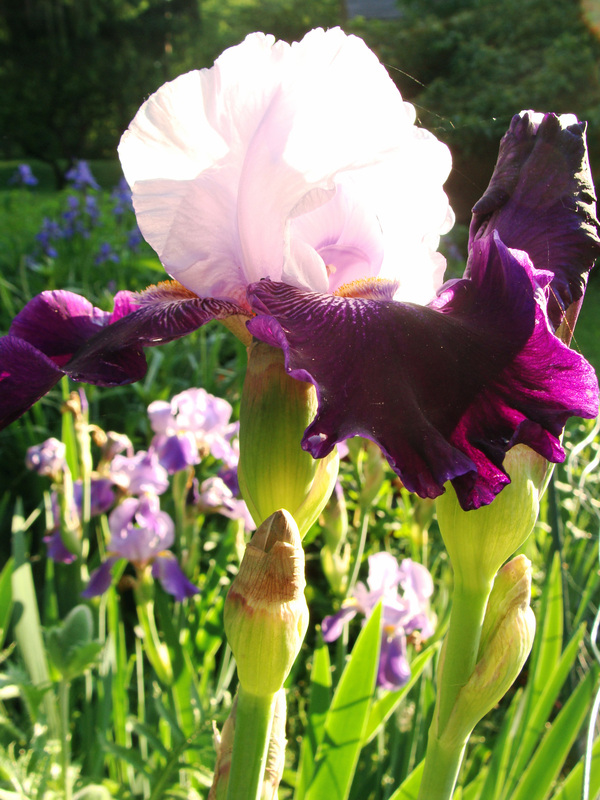 Look at these lovely Peonies and irises! 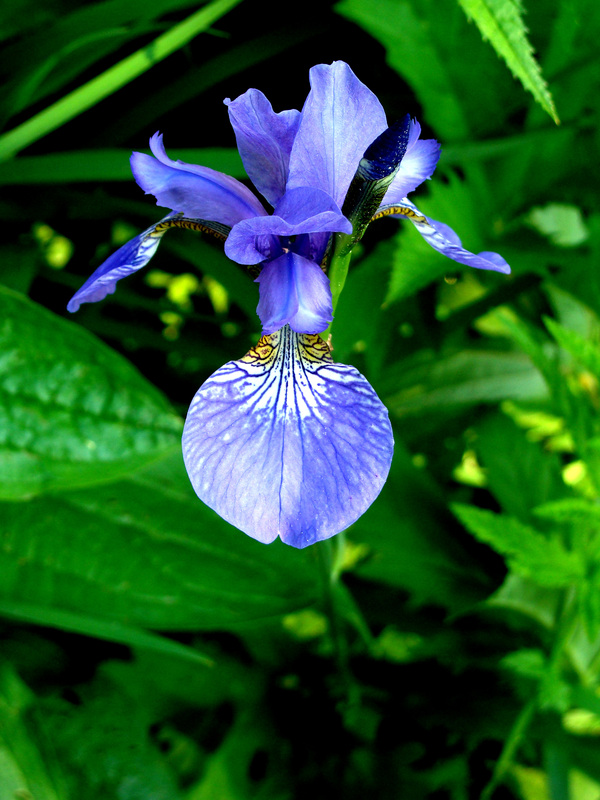 Next, I got inspired by the blues, purples and whites of my irises and bleeding hearts. And that led to this Bracelet! 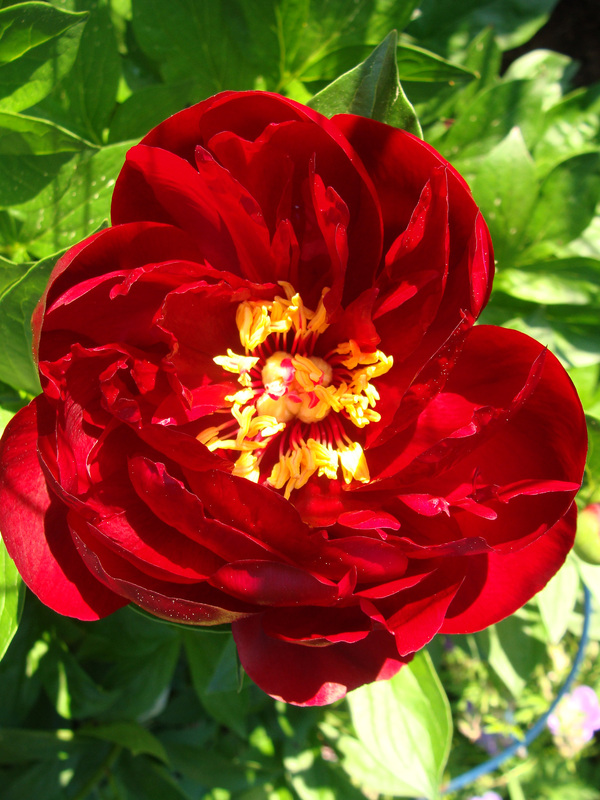 How does my garden grow? Work, Work, Work, Work!